The performance ‘Touch my body, don’t touch my body’ will be presented in 2017 in the context of the program dance and theatre at colleges as part of extra curriculair activities within the program ‘Ma Vie en Main’. Furthermore it will be showed in the context of a gender program at the University of Abomey Calavi in Benin, within a EP NUFFIC program led by the Dutch University for Agriculture in Wageningen. 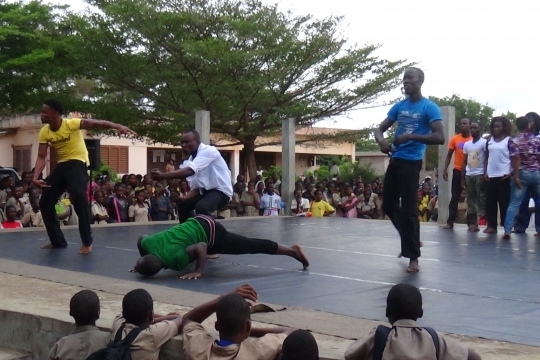 This performance is made in cooperation with Company Walô for secondary schools in Benin. 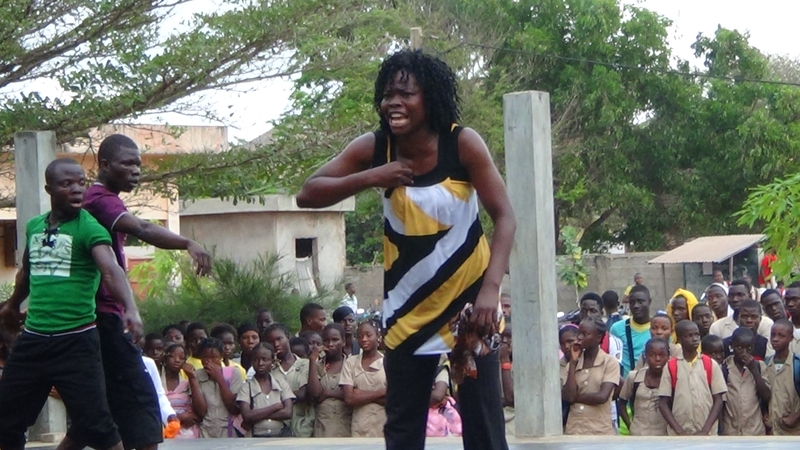 The production was the result of a training in which themes of general sexual behaviour and specific sexual violence were translated into theatrical scenes, directed on a program of sexual education in secondary schools. 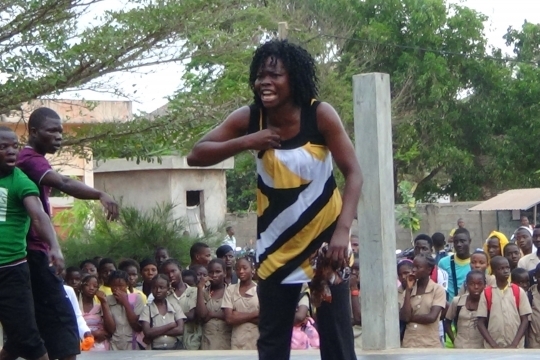 Intimacy, preference, violence, myth and reality are displayed in a sequence of traditional dance, text, rap and hiphop songs. 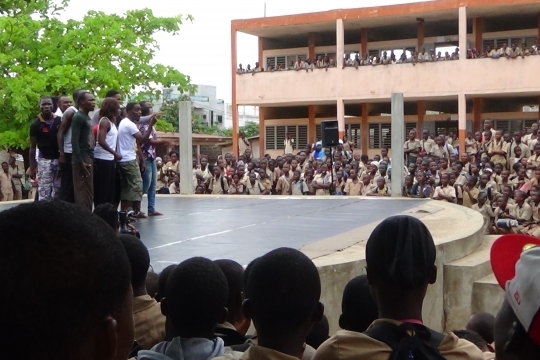 After a first series performed in high schools with 10,000 visitors, the show is also presented in the framework of activities of the advocacy organization ABMS -Association Béninoise pour le Marketing Social . 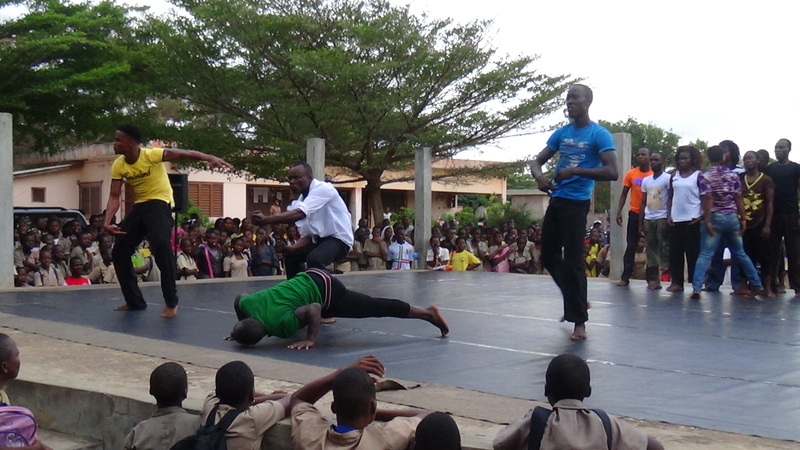 In 2015 the performance toured with ABMS through the north of the country for another 10,000 students. Touch my body don’t touch my body is still regularly performed, even in a flash mob version. Rachelle Agbossou, Serge Amoussou Guenou, Guillaume Niedjo, Franklin Senou, Daniel Ahifon, Lucrece Atchade, Sahadat Ami-Toure, Denise Ichola Elodie Djepke, Dougame Atropo, Bonaventure Sossou, Honoré Togbe. 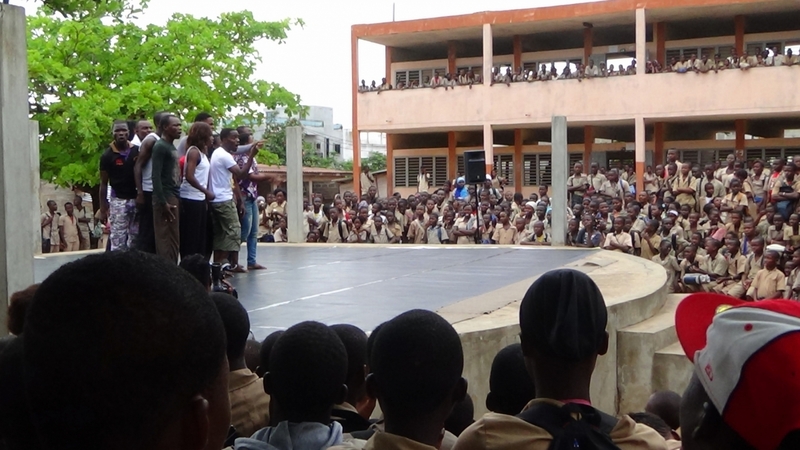 This performance has been realized with support of EP-NUFFIC, PSI International and the Dutch Embassy in Benin.